A car in the Tel Aviv suburb of Holon was set ablaze Sunday following interception of a double Fajr-5 missile attack on the city from Gaza. 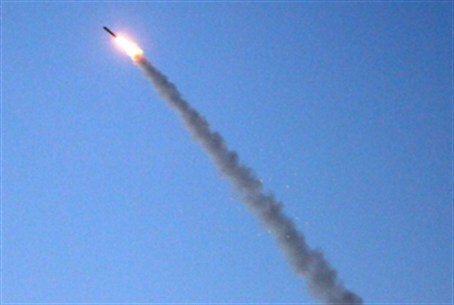 A car in the Tel Aviv suburb of Holon was set ablaze Sunday morning following the successful interception of a double Fajr-5 missile attack on the city from Gaza. Once the missiles were shot down from the sky, one of the burning hot metal scraps struck a car as it fell, setting it afire in the city of Holon. No one was injured in that attack, the third to occur Sunday morning. Firefighters were able to bring the blaze under control. Gaza's ruling Hamas terrorist organization claimed responsibility for the attack. One person sustained light wounds from debris that fell from a similar earlier missile intercept that landed on his car, which occurred shortly after 10 a.m. A second missile landed in the Mediterranean Sea. More than 15 other rockets and missiles were fired at southern Israel in the early hours of the morning, including two aimed at the port city of Ashdod that were also intercepted by the Iron Dome anti-missile defense system.